Born in 1954, in Ontario, Canada, James Cameron showed the signs of being attracted to film making from an early age. Having a father who was an electrical engineer and a mother who was an artist, it was no wonder that Cameron was enticed with Science Fiction and spent much of his boyhood writing related screenplays and even constructed a diving receptacle which transported mice down the Niagara River. It was however Stanley Kubrick’s movie, 2001: A Space Odyssey, which was the defining moment in his life. Having tried his hand at college, first studying Physics and then switching to Literature at California State University, he realized two things. Firstly, college just was in the cards for him and most important of all, science and art could be combined to yield an array of never experienced before, results. He took on odd jobs like being a mechanist and a truck driver while trying to pursue his dream of making it big in the film business. His first breakthrough came when he was hired on as a model maker by Roger Corman for the movie, Battle Beyond the Stars. From that point onwards, there was no stopping Cameron. His flair and innovation at film making techniques allowed him to quickly progress ahead and culminated into two movies; Galaxy of Terror and Piranha II: The Spawning. However, it was with The Terminator that Cameron finally achieved the acclamation he was hoping for. The movie was an instant hit and earned him the spotlight he deserved. The next big project James Cameron took on was The Abyss, which although had a strong story and cast, did not do as well as hoped. Eager for the chance to redeem himself, he quickly started working on Terminator 2: Judgment Day which he wrote, produced and directed himself. It came as no surprise that the sequel did as well, if not better, than its first part. The success of the movie combined with Cameron’s obvious skill for innovatory imagery and graphics which wasn’t experienced before, earned him one of the most famous contracts in the film business; a contract with Fox for five movies. Cameron’s True Lies in 1994, yielded similar success story as the Terminator series. Having a profound love for underwater exploration, his focus then shifted to the 1912 catastrophe of the Titanic. He got his inspiration for his next movie from there and despite the fact that the actual making of the film Titanic was plagued with problems from the starting; its end was an unprecedented success for him. The movie was nominated for 14 Oscars and won a staggering amount of 11, 2 of which went to Cameron for best film and director. He temporarily withdrew himself from mainstream cinema and devoted his time to making underwater documentaries. One of the things which distinguish Cameron’s work from all others is his capacity for inventing new graphic techniques and CG imaging. After a good 10 years, Cameron decided to return back to his passion of film making and took on the highly ambitious project of The Avatar. The graphics and 3D imagery used in the movie combined with its strong cast and storyline led it to become an even bigger blockbuster than the Titanic and earned Cameron a Golden Globe award for Best Director. 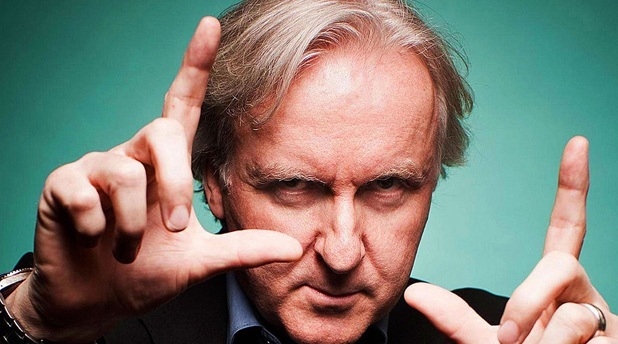 There seems to be no limit to what James Cameron would do next as far as film making is concerned. So far speculation has it that he is working on 2 sequels for The Avatar, both of which will be directed by Cameron himself.